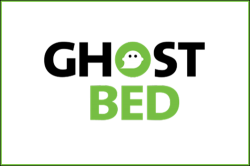 As of April 8th, 2019 The Mattress Underground Welcomes GhostBed as a TMU Trusted Member! Note: All discounts codes offered to TMU consumer members are equal or higher to any other GhostBed discounts. GhostBed is owned and run by Marc Werner who is well-known for his various industry-related patents and who has been active in the mattress space for 20 years under Nature’s Sleep brand for wholesale and the GhostBed brand for eCommerce sales and select retailers. The manufacturing and production facilities are now entirely US based for American sold mattresses and Canada based for mattresses sold in Canada. The foams used in the GostBed lines are CertiPUR-US certified and are now supplied by various US foam manufacturers. In March 2019 GhostBed introduced their new hybrid mattress with pocket coll edge support under the name of GhostBed Flex. Find more details in GhostBed's Welcome Forum thread here and ask GhostBed a question. To read past comments about GhostBed, feel free to use the forum search tool here.